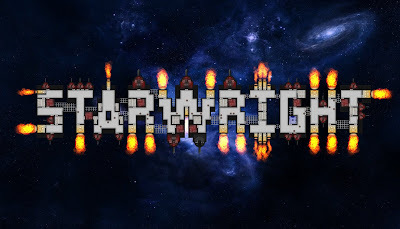 Recently I finished an artistic revamp to StarWright's visuals. One of the most important improvements is the addition of a separate layer of walls that is rendered above the crew on the ship. This gave the feeling of actually viewing a cross-sectional floor plan of the ship, which was sorely missing in earlier versions. But the one big oddity with that revamp was that the crew could still walk between the walls, which was definitely weird. 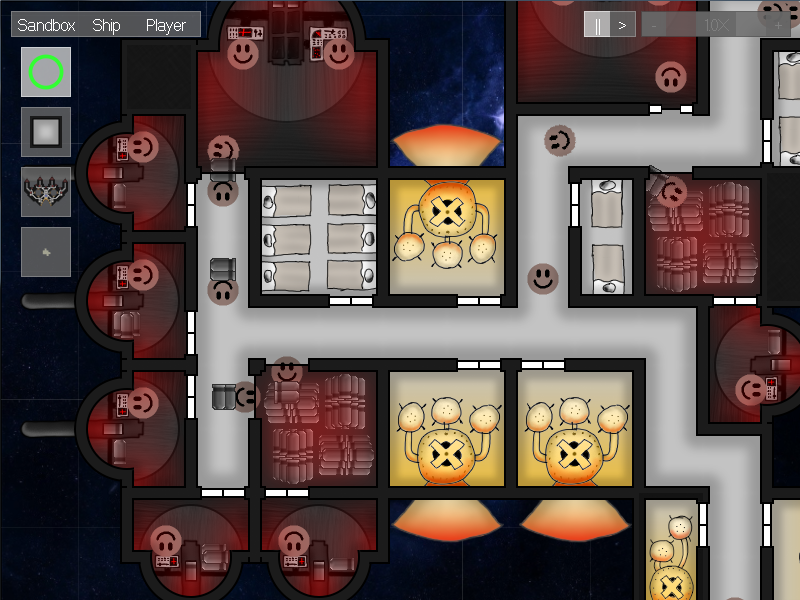 Now, finally, ships in StarWright have walls that crew can't move through, and of course by necessity, doors in the walls! The player may place those white double-sliding doors in any legal wall locations (some are blocked). Once a wall has a door in it, crew may freely move through the wall. As in a lot of space fiction (Star Trek in particular), when a crew member walks up to a door, the door will automatically slide open to let them through. The pathfinding system was previously unaware of the presence of walls between rooms, and making it "wall-aware" required a significant retrofit. The pathfinding system previously assumed that the entire ship was contiguous -- that is, it assumed that it was possible to get from any location of the ship to any other location of the ship. Additional fixes were required to remove this assumption. I didn't want to have to update every wall sprite with every possible door location, because that would have added many times as many wall sprites. Instead, I had to devise a way for the doors to "replace" the particular section of wall that they occupy, but no other parts of the wall. To do this, I render a rectangle representing the door sprites to a special off-screen "stencil" buffer. Then when I render the walls themselves, ever pixel of the wall gets checked against that stencil buffer to make sure there's no door at that pixel. Every door sprite has animations to open and close as crew walk through. Unfortunately, doing potentially hundreds of simultaneous sprite animations on the CPU can be slow, so instead I devised a special vertex shader to handle the sprite animation on the GPU. When an animation is triggered, such as the door is opened or closed, the CPU sends the vertex shader the information it needs to render the door animation, and then the CPU never has to worry about the animation again until a new animation is triggered. 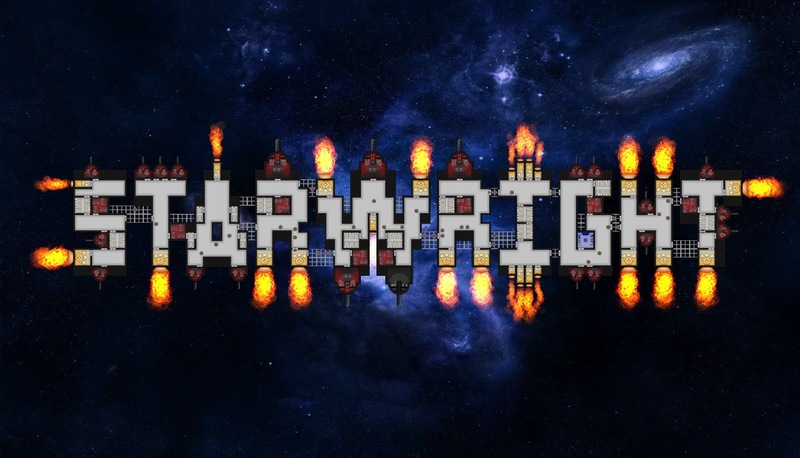 I made a logo for StarWright using the in-game ship editor, mostly just to show off how flexible the ship editor is.